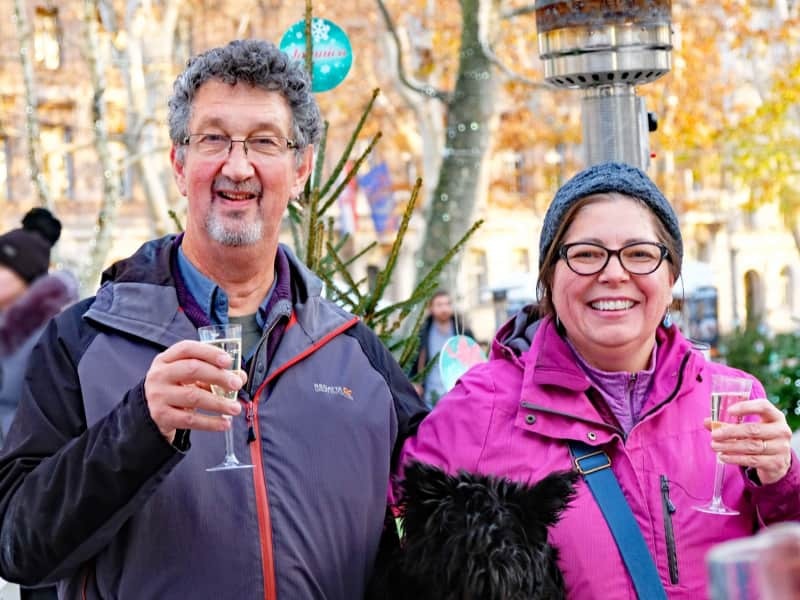 We are Deb and Rick, a married couple who are extended travellers currently based in Tuscany. Rick is a retired software developer who likes sports, photography, travel and animals. He loves to cook and meet new people. Deb was a charity director before taking sabbatical. She has a love for animals, travel, and adventure. Deb is a trained animal therapist (massage & TTouch for animals, especially fearful pets) and has worked as a pet sitter and dog walker as well as volunteered at animal shelters, guide dog programs, and wildlife sanctuaries. Deb is also a certified TESOL English as a Second Language Teacher and a Rotarian. 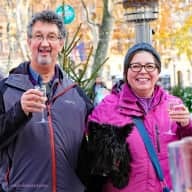 We travel with one of our small dogs, a Scottish Terrier. Maggie May is friendly with cats and loves other dogs. She is crate trained. We have been traveling full time since January 2017 and just recently establishing ourselves in Lucca, Italy. House sitting allows us to stretch our travel budget so we can see more of the world. We are always seeking opportunities to connect with pets. House sitting also allows us a more authentic experience of living life as locals do. We are homeowners who know how it feels to entrust our pet and home to someone else. We have rented out our house and left our Jack Russell Terrier in the care of the grandparents. We will treat your home and pets as we hope ours are being treated now. We have extensive volunteer experience helping animal rescues and others in need. We have experience caring for dogs, cats, rodents, birds, goats, chickens and more in Canada, Ireland, England, and Spain. We also have police checks (like CRB) from London Ontario and International Drivers Licenses. We are trustworthy, reliable and true animal lovers. Deborah Brady is a responsible and compassionate pet lover who is an ideal pet sitter that I highly recommend. She provided top notch care for years when I was away for my senior special needs Bichon Frise dog, which included giving him food, water, cuddles, insulin shots, pills massages and taking him for walks. My dog Jordi loved her and I had full trust in Deborah, as she cared for him as if he was her own. I was able to go on trips knowing that he was in the best care possible, and I am forever grateful to her.